According to our favorite tipster, Evleaks, it looks like the LG G2 Mini is heading stateside to at least one US carrier. That would be Sprint. He posted today that the LG G2 Mini would be hitting the nation’s third largest carrier as the model LS885. Now the LG G2 Mini isn’t as highly specced as the LG G2, but it is still a pretty decent device – depending on what Sprint prices it at. 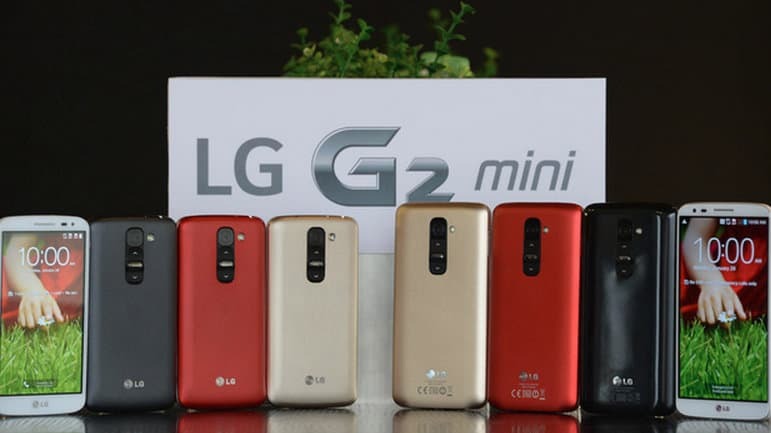 The specs on the LG G2 Mini look like a 4.7-inch 960×540 resolution display, Qualcomm Snapdragon 400 processor (MSM8226) which is clocked at 1.2GHz, 1GB of RAM, 8GB of internal storage with a microSD card slot, and it has a 2440mAh battery inside. So not the same specs as the LG G2, but as far as all the specs go I think it’s all respectable except for the screen. Obviously this is a mid-range device, hence the mini, but on the bright side, at least with a qHD display the battery life will be pretty good. Which it is a 2440mAh battery inside, so it should last you basically all day long anyways. The LG G2 Mini I’d expect to be priced at around $49 on contract from Sprint, or around $400 outright. Which at that pricing, if you can afford it, I’d say go for the Nexus 5. As it is still an LG device, but has much better specs and an even smaller price tag. Not to mention updates straight from Google, which means they’ll be much faster. But at least LG has added a microSD card slot on this device. Making the 8GB of storage not to bad after all. Hopefully Apps2SD works on the G2 Mini. The post LG G2 Mini Reportedly Heading to Sprint as the LS885 appeared first on AndroidHeadlines.com |.